It is most popular in the countries, United Kingdom & United States. Topics: Laptops, Acer, Compaq, Dell, Lenovo, and Samsung. The estimated 2,246 daily visitors, each view 3.00 pages on average. It has 5 nameservers, including dns1.name-services.com, dns2.name-services.com, and dns3.name-services.com. Venda Usa Customer Network (Kentucky, London) is the location of the Apache server. 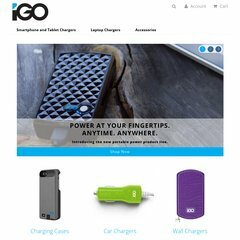 Igo.com's IP address is 212.25.236.46. PING www. (212.25.236.46) 56(84) bytes of data. Website load time is 1706 milliseconds, less than 61% of other measured websites. As well, a ping to the server is timed at 53.5 ms.